Halloween Lies is a Halloween-themed horror movie murder mystery party for 16-32 guests (plus one host) published by Freeform Games. Set in the modern day, Halloween Lies takes place during the Halloween-theme costume party for The Vampire Detective, a fabulously successful horror movie. 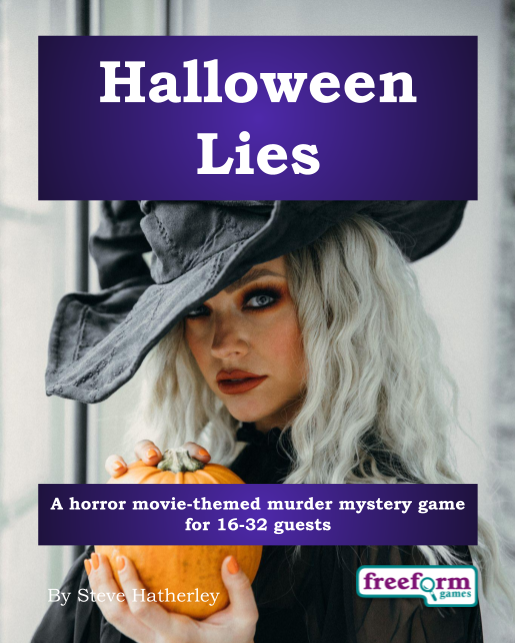 Halloween Lies is an interactive murder mystery game, so all the players receive complete details of their character, including a detailed backstory, objectives that they must try to achieve, and information about other characters. They also have item cards (that represent scripts, awards, and so on), and abilities (that let them detect secrets find out information about other people). In my opinion, once you've played an interactive murder mystery game, you won't want to go back to any other style. Halloween Lies has a number of different plots to keep everyone busy. For example, there is mysterious dealings of the Post-Modern Freeform Movement, a motor racing club needing a new president, affairs - plus of course a murder to solve. On top of all that, The Vampire Detective's producers are all looking to make the next big movie - so they will be wheeling and dealing and need directors, actors and screenwriters for their movie. At the end of the party, the producers and their crew act out a scene from their movies for everyone to enjoy - and vote for the next winner of Best Picture, Best Actor and Best Actress. All of the cast are gender neutral and can be played by either men or women. and kids can play too! Halloween Lies is suitable for kids aged twelve and over. I suggest that an adult is host, but Halloween Lies is suitable for kids parties. 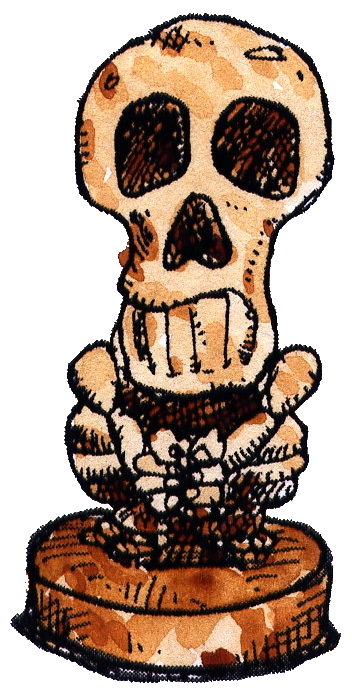 Instead of a formal dinner party, Halloween Lies is better suited to a buffet meal or finger food. Halloween Lies needs a dedicated host, someone to organise the game. They play the Master/Mistress of Ceremonies. Halloween Lies is available from Freeform Games and costs $49.99 USD. Click here to buy Halloween Lies from Freeform Games. For more information about Halloween Lies, click here to download the free introductory pdf file which includes more details - including background, a full cast list, costume guide and invitations.